"So you don't end up spending way too much on a taxi fare, please only use a Bluebird Group taxi. There are so many taxi's in Bali, and as Bluebird have such a good reputation on using a certified meter, the Bali Taxi is now trying to make themselves look the same. A Bluebird will have a number and a sticker on the front of the car saying "Bluebird Group"'! They are light blue in colour and the cars are all in good condition. Only use this company otherwise you will find yourself in a taxi with either no meter or a meter which is ticking over extremely fast. 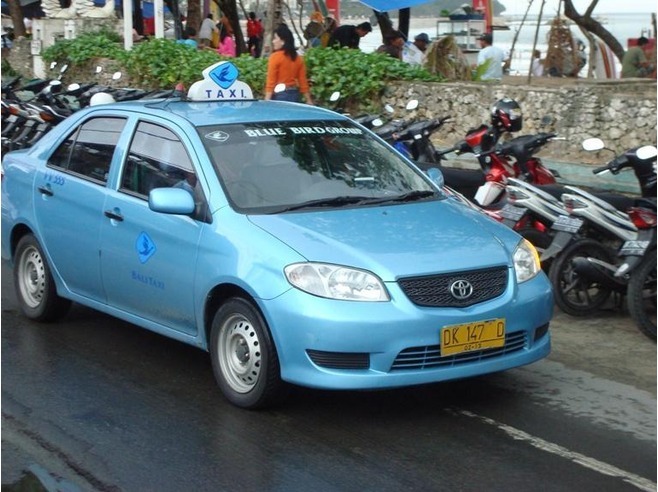 Bali Taxi is now trying a new tactic, they have a sticker on the front of their cars saying Blue Taxi Group to confuse people. 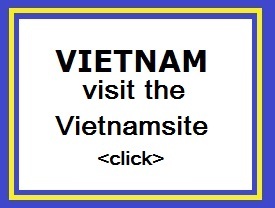 They always had a back to front bird like the Bluebird Group so be careful." Taking a taxi in Bali can be quite an experience for newcomers to the island. The difference in currency and the constant barrage of honks from drivers can be confusing. Thankfully though, catching a cab can be quite a simple task if you follow the expert tips listed below to help you navigate the local taxi scene in Bali. The driving in Bali is usually quite fast with a lot of overtaking, so if you�re not up for witnessing close brushes with cars and speeding on narrow roads, do try and rest your eyes in the car. you�re probably not familiar with what an appropriate cost should be. As you can imagine, this can escalate quickly into an unpleasant situation. 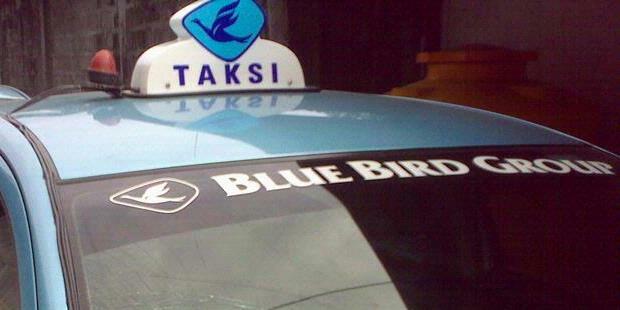 In spite of the widespread taxi frauds, the Bluebird Taxi Group has earned a reputation for being the most reliable and honest taxi company in Bali over the past few years. As a whole, they represent a fleet of cars in good condition and drivers who do not try to hustle you for the highest possible price. Due to their stellar reputation, many other taxi businesses have attempted to replicate Bluebird taxis branding in an attempt to confuse tourists and leverage on the reputability of Bluebird taxis (but not providing the same level of services!). Due to the overwhelming popularity of Blue Bird taxis � there are now fake �Blue Bird� taxis who are a slightly different shade of blue so keep an eye out for the proper logo. Call the taxi number of the Bluebird Group ahead of time: +62 (0) 361 701 111 If you want to be absolutely sure that you�re getting in a Bluebird taxi, call their 24/7 phone line to have a car and driver sent to your location. This is what I ended up doing when I mistook the other taxi for a Bluebird, which I should have just done from the start; a Bluebird taxi promptly arrived less than 5 minutes after I called for one. Their hotline allows you to call in advance to reserve a time (for an early airport departure perhaps) or call at the moment you need a ride. This way, a taxi will be dispatched directly to you (almost always within 5-10 minutes) and there will be no doubt about the legitimacy of the taxi driver. Make sure that the taxi meter is on and set to IDR 6.000 In a Bluebird taxi, the meter should always be on and set to six-thousand rupiah (as a base price) so that you don�t have to negotiate a taxi fare with the driver when you arrive at your destination. If the driver tells you that the meter is broken or the distance is too short to use a meter, do not take the taxi and report the errant driver afterwards to the company�s customer care hotline: +62 (0) 361 701 621. Have small change with you if possible It is common for drivers in Bali to act like they don�t have any small change to give you when you pay your taxi fare with big notes. To avoid this, have a few small bills on hand or insist upon your change being returned to you (10,000 and 20,000 rupiah notes are useful). If you are in a populated area, you can ask a shopkeeper nearby to break your big notes into smaller change for you. If you follow these few basic taxi tips and safety pointers, getting around the island will be easier.